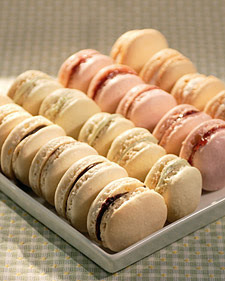 To make the macaroons: Preheat the oven to 350 degrees. In a medium bowl, whisk together confectioners’ sugar and ground almonds. In the bowl of an electric mixer fitted with the whisk attachment, whip egg whites with salt on medium speed until foamy. Increase speed to high and gradually add granulated sugar. Continue to whip until stiff glossy peaks form. With a rubber spatula, gently fold in the confectioners’ sugar mixture until completely incorporated. This is a Martha Stewart recipe! More is More! Tony Duquette Estate Jewelry Collaboration!! Be still my heart! Coach has partnered with opulent jewelry designer Tony Duquette on a new accessories line to be sold under the Coach label. 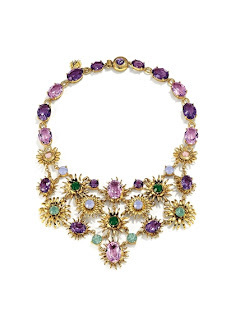 Inspired by Duquette’s higher priced line, the new collection features 20 stunning pieces ranging from whimsical insect stick pins to ultra luxe multi-colored stone bib necklace, similar to one Duquette designed for the Duchess of Windsor, they are sure to make a statement! 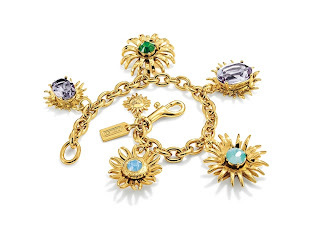 The Coach x Tony Duquette collection will range in price from $48 to $498. 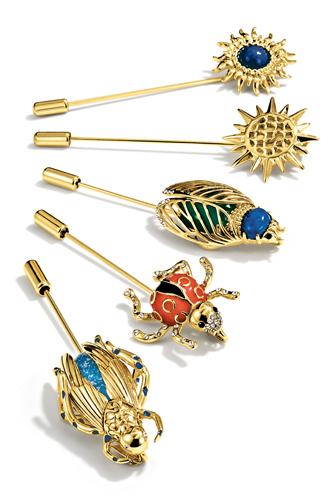 I’m sure we will see every single one of those insect pins adorning everything this spring. 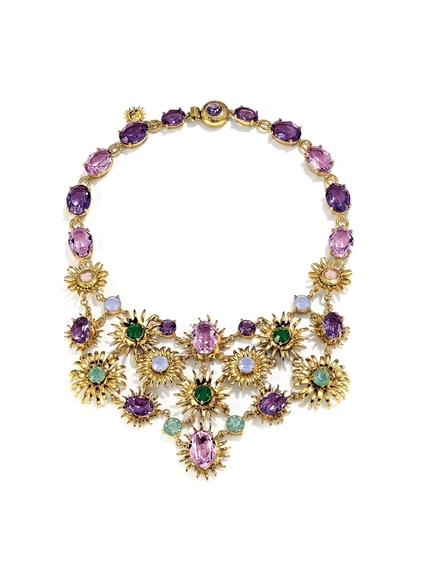 In their latest collaboration with Tony Duquette, the fantastic folks at Coach teamed up with Duquette’s archive specialists and jewelry design squad to recreate the classic statement pieces that Duquette originally conceived in the 1940s for film, fashionistas and other people of the like. These awesome pieces are nostalgic and affordable. 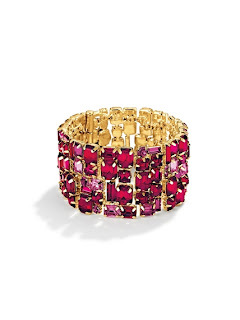 Available beginning in Feburary, there’s pretty much something for everyone in this twenty piece collection — as long as you’re looking to sport some major bling. 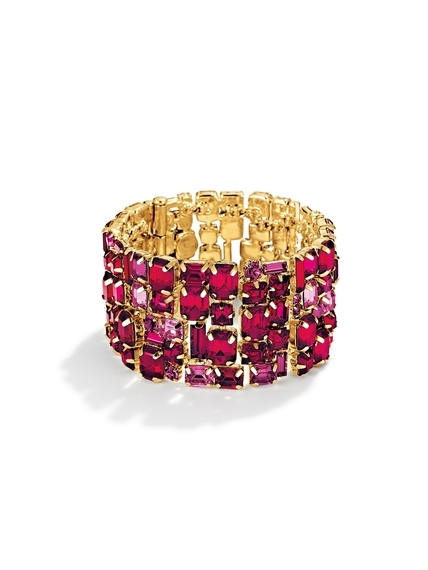 With the reasonable prices ranging from $48 to $498 you can infuse some glam into your wardrobe no matter what your budget is. We’re really into how Coach investigated such an influential designer of his day (why don’t more people think of that?). The gorgeous book More is More by Hutton Wilkinson is a fantastic pictorial and history of Duquette’s designing years. 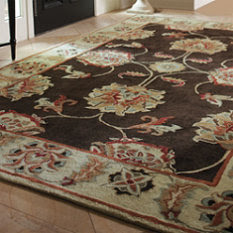 Pattern in carpets and rugs these days has become extremely popular. 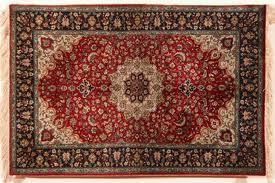 Whether it is circles, polka-dots, stripes, geometric, floral or traditional Persians. Most patterns can complement the contemporary and add majesty to the traditional and give pizazz to any room. Texture is also big news for all flooring including hardwood and laminates …with hand scraped and distressed woods wonderful character and richness is immediately there with installation. One of the most common things I hear is “I can’t visualize with it will look like”. Don’t think you are alone as this is one of the most common complaints from clients. That is why you need a designer you can trust. Many companies now how exclusive visualization tools to help you see the flooring to help with this problem. – tile has been used for years …easy to clean and maintain, water is no problem but I personally find it hard to stand on for any length of time if being used let’s say in a kitchen….bathrooms no problem. – contrary to what most people think, carpet is a good choice for allergy sufferers as it traps allergens so they don’t float in the air and then can easily be vacuum up. 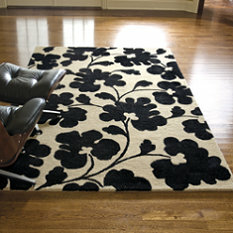 – if you have a large open space and area rug can define a sitting area, make it feel more intimate. 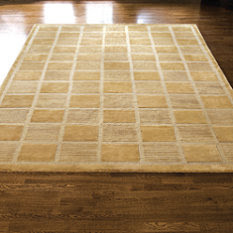 Almost every room with a hard surface can benefit from a rug. 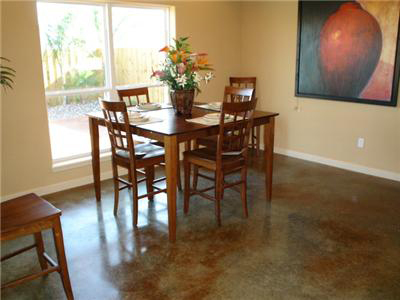 The photographs show hardwood flooring, concrete, cork and an area rug. We will discuss over the next few days texture, trends, patters, colors etc. Happy New Year!! I’m Back.